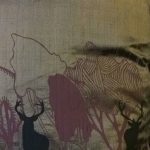 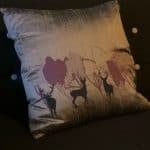 Orwell and Goode Daytime Stag Pink Cushion 46 x 46cm Approx. This gorgeous Stag Pink Cushion from Orwell and Goode features the ‘In the Woods – Daytime with Stags’ print. 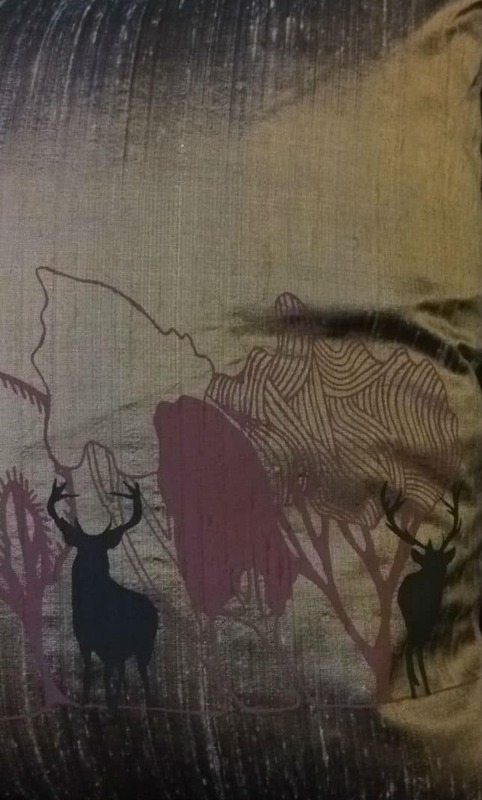 The dusky pink and grey design has been screen-printed onto pewter grey metallic shot silk thus creating an iridescent effect against the silhouetted stags. 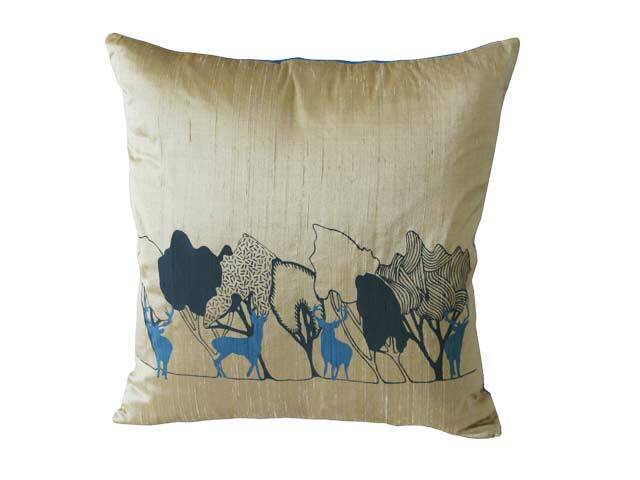 Measures approximately: 46 x 46cm (18″ x 18″).